Hi Doodlebug fans!! After being away for two years I'm back! and I'm so super happy to be here again! Today I get to share my first two projects created with the fabulous Polar Pals collection. This collection is so super cute and has the most amazing colors! It's a pity it isn't snowing more where I live, but I did find some snow photos from two years ago, which were still waiting to be scrapped. But first let me start with this project that didn't need any photos: a little shadow box featuring an igloo and some of the cute cardstock stickers. The igloo was created using a quarter of a styrofoam ball, which I then covered in little punched circles measuring 3/4" and which came from a sheet of chevron sugar coated cardstock. I adhered them with little pins. The stickers of the little girl and boy and the snowman, dog and penguin came from a sheet of icons stickers. First I made them un-sticky so I could place them this way and that, before deciding where I would adhere them. 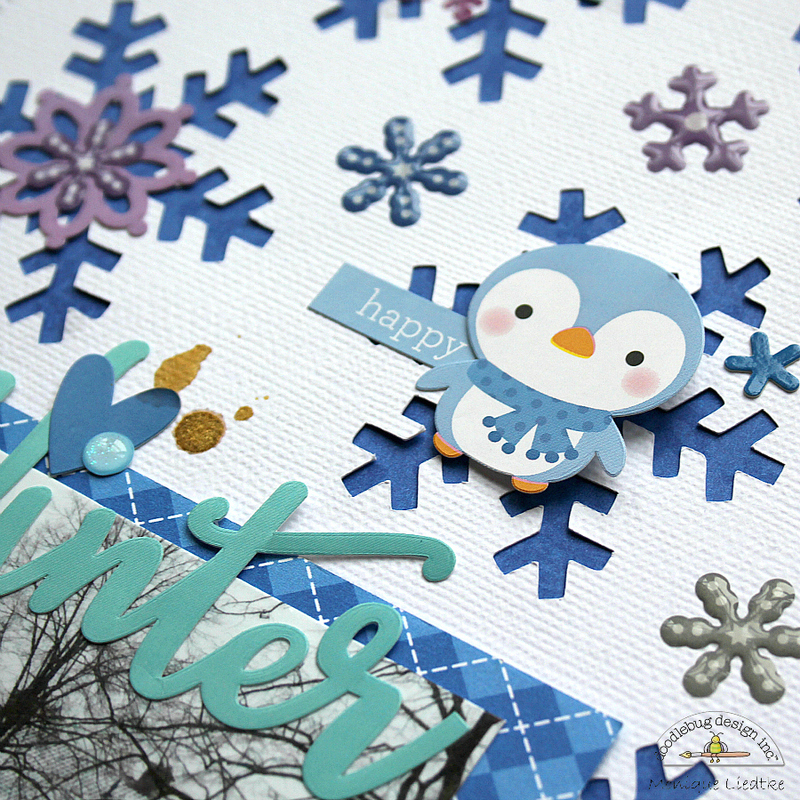 For the background I chose a sheet of paper with a more matted color and adhered lots of word stickers along the side and a few sprinkles on the snowflakes (which you don't see very well in the photos). And here's another project I'd like to share with you, also created with the Polar Pals collection: a layout with photos of my daughter and the girl she always "babysits" and her father ice skating on the little pond at the end of our street. We don't have too many days where we can ice skate or throw snowballs, so days like these are special and have to be scrapped! 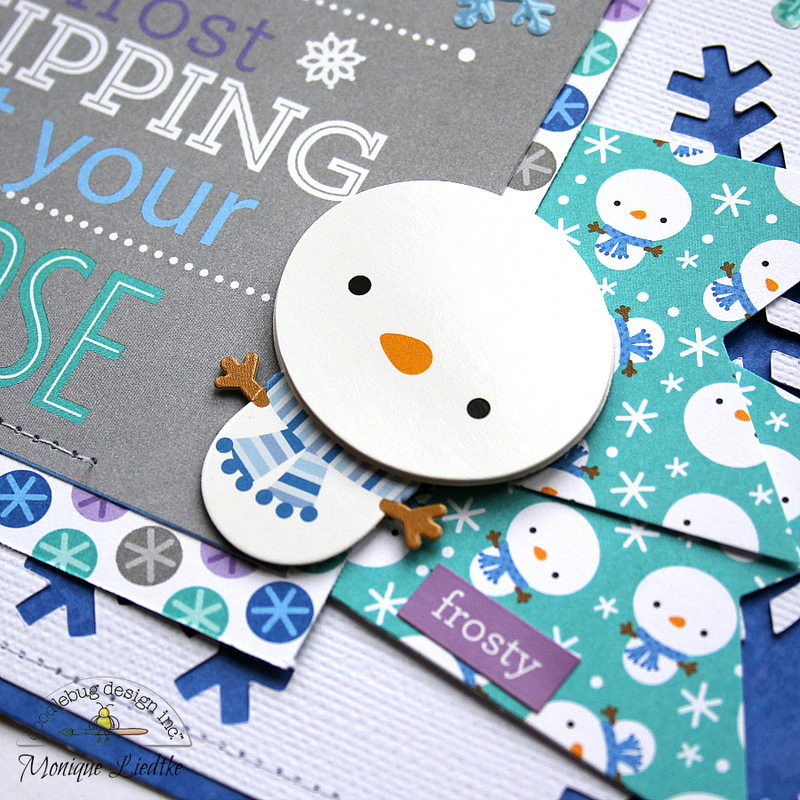 For the snowflake background I used one of Doodlebug's stickers, which I traced and cut with my Silhouette Cameo. Next I covered them all with lots of the fun stickers in this collection. And of course I just had to include one of the 3D Doodle-Pops: isn't this snowman super cute?! 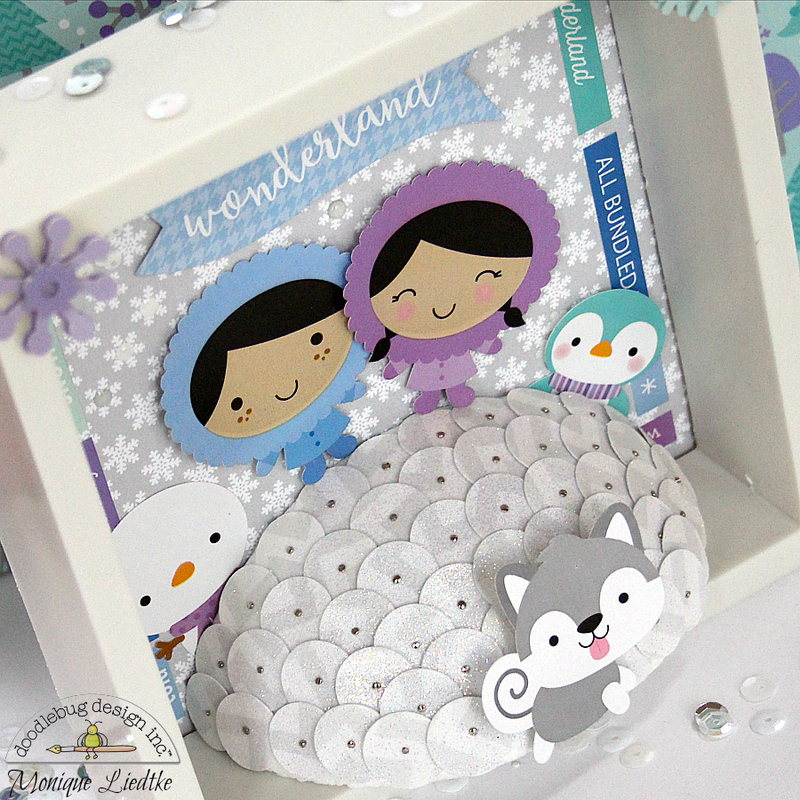 And how about these "winter snowflakes shape sprinkles"? I adore them! Thank you so much for letting me share my Polar Pals projects with you. Don't forget to share your projects on our facebook page as soon as you've created some too! We would love to see them. These projects are just the cutest!!!! Oh my goodness!! These are such adorable projects!!! 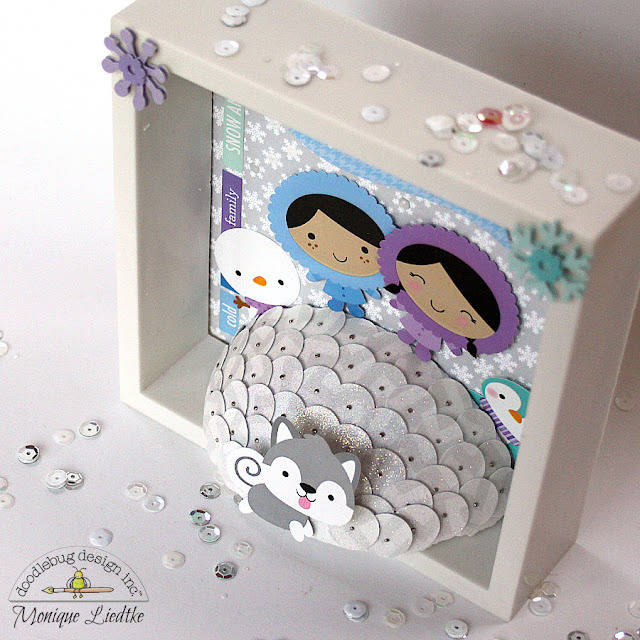 Both projects are great but the shadowbox steals my heart, so cute! Thanks Marjan! You made my day!